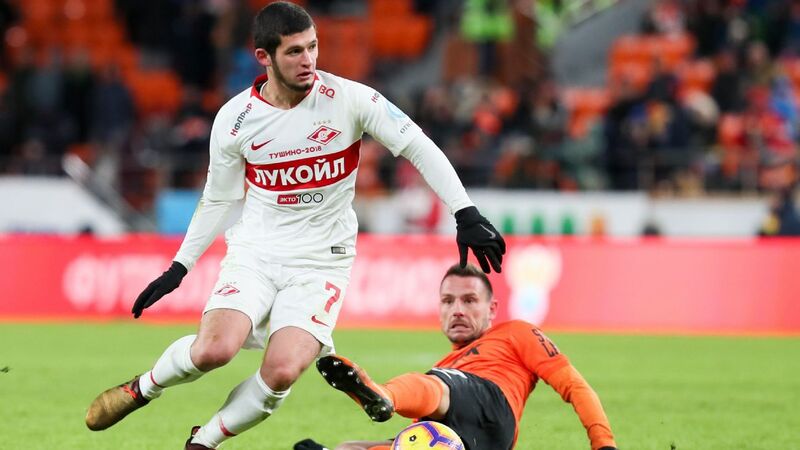 Spartak Moscow left two players out of their squad for a Europa League game against Rapid Vienna amid a dispute over a video posted on Instagram that insults their coach. Captain Denis Glushakov and defender Andrei Yeshchenko will not travel for the game on Thursday after they both were accused of liking a video posted by actor Dmitry Nazarov in which he mocks coach Massimo Carrera. Reciting a poem, Nazarov said in the video that Carrera "isn't our happiness" and wondered, "How many disgraces do we need before our gratefulness runs out?" Carrera, appointed in August 2016, won the Russian Premier League title with Spartak in 2017, but they are five points behind leaders Zenit St. Petersburg and were knocked out of the Champions League in the third qualifying round. Spartak have not commented on the case directly and did not explain why the two players were dropped. Glushakov said he did not like the post in question and Yeshchenko has not commented.